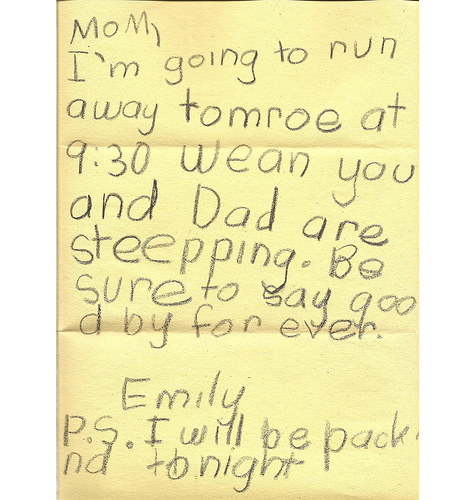 I think this is the most endearing note I've ever read, despite the child's indignation. If you've never perused Passive Aggressive Notes I suggest you take a break for some hilariously written indirect resistance. cant believe no one has commented on this!! this is the raddest letter ever!! so funny yet so innocent at the same time!! gotta <3 it! !